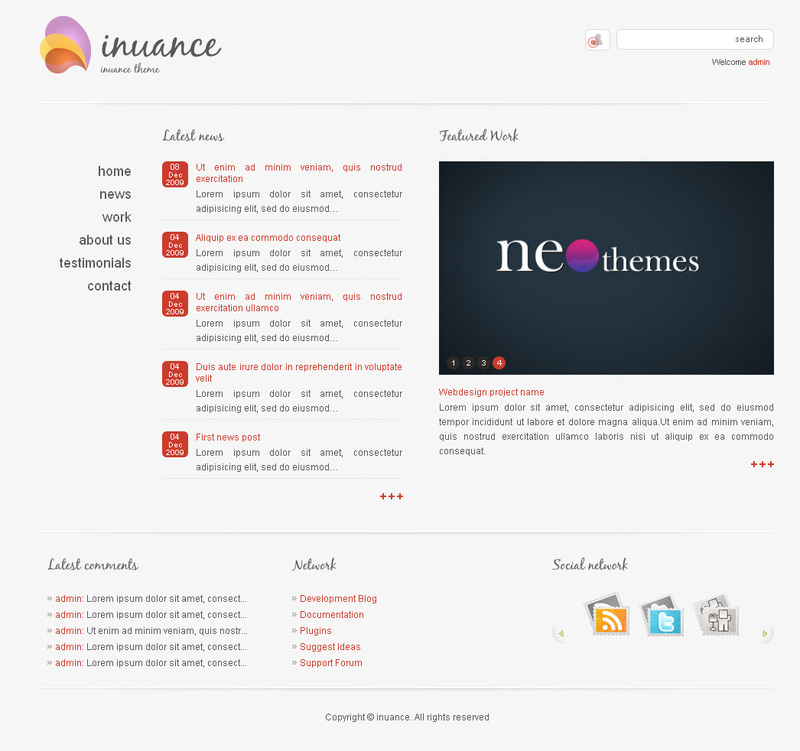 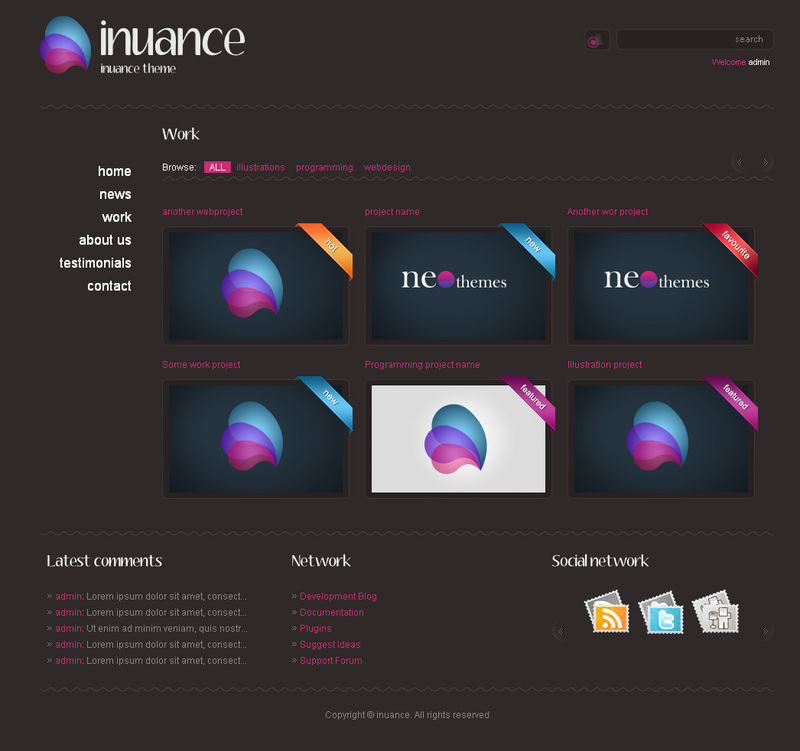 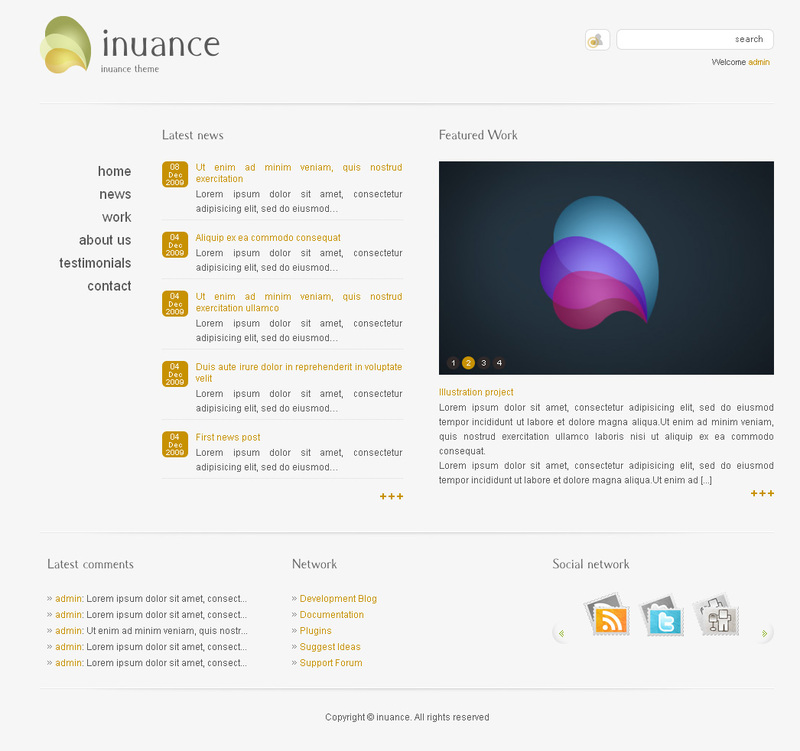 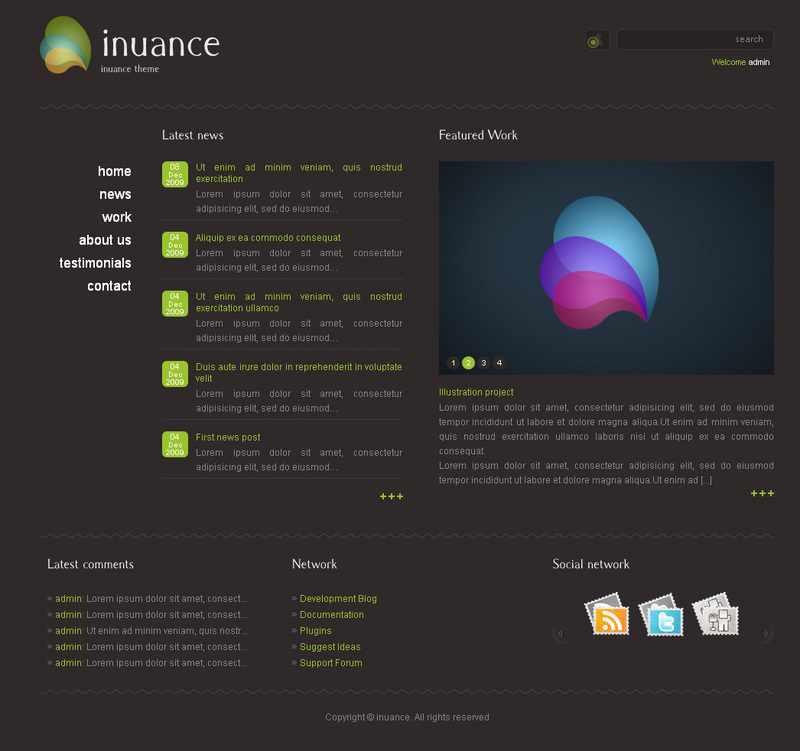 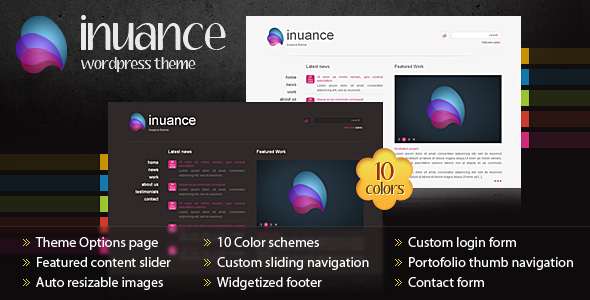 INUANCE is a simple premium wordpress theme, web 2.0 style for business, company and corporate website. 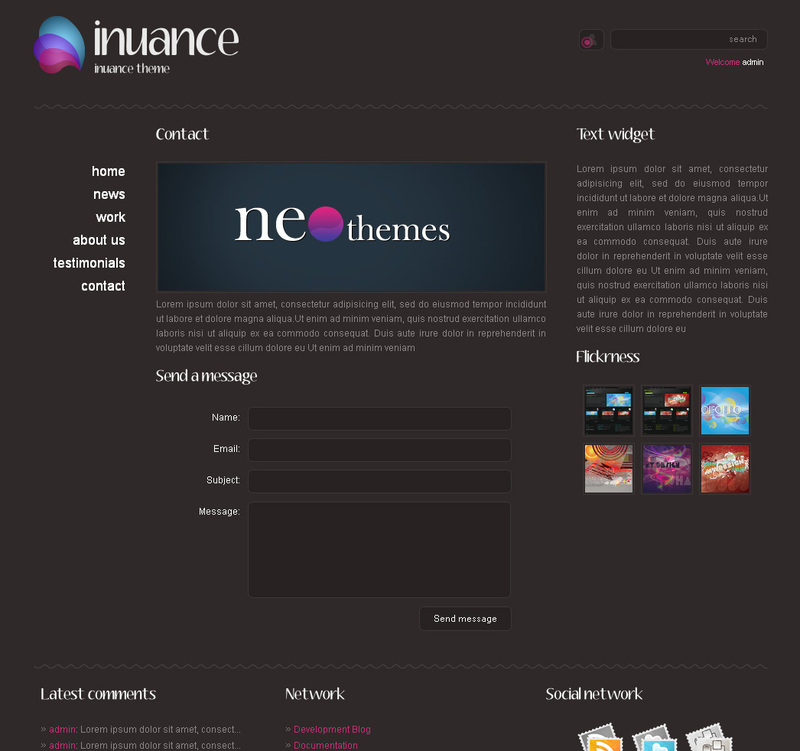 The theme comes in 10 different color variation on black and white style. 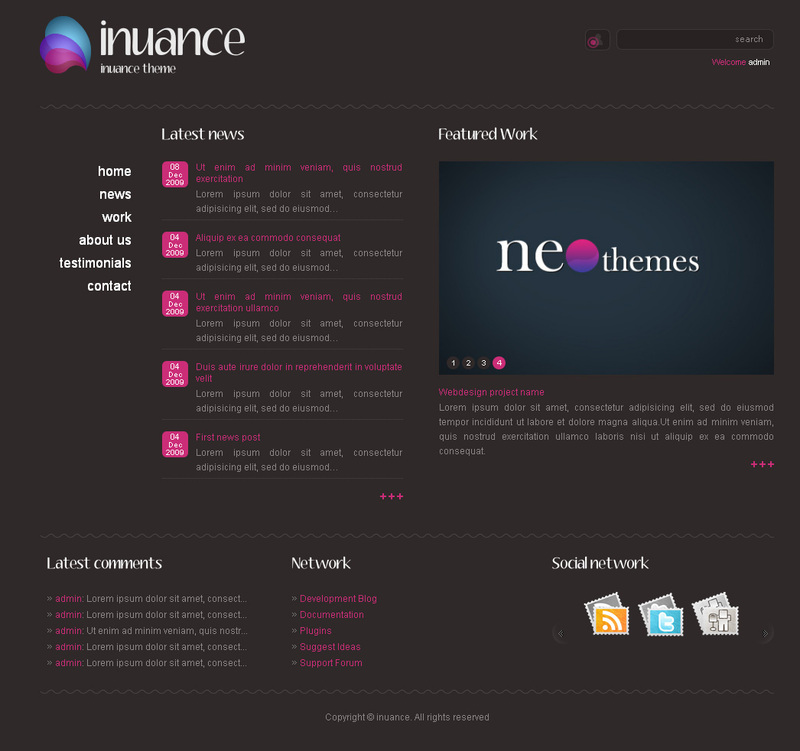 The colors and other amazing settings can be very easy to customize from the custom backend admin interface. 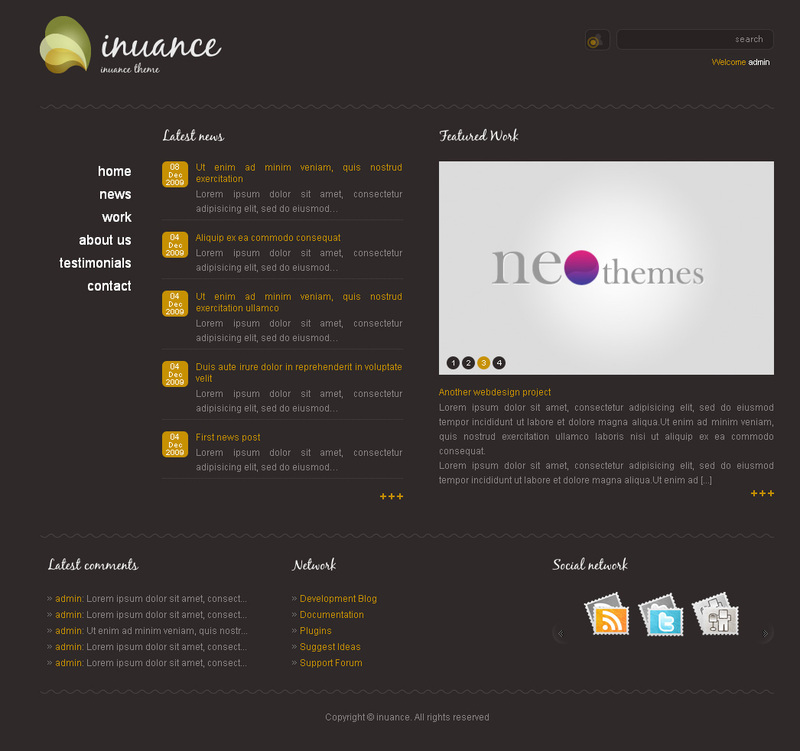 10 color options, easy to choose style/color via admin theme options.